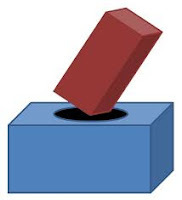 Who in their right mind would want to participate in a “system” that only values a certain style of thinking – especially when you have a “disorder” that makes you a square peg that’s “supposed” to fit into a round hole. A valid argument could be made that, without the staunch non-conformists in the world, there would be no change within society. 1. Assuming you could if you wanted to, if you chose to conform to the neurotypical way of thinking, feeling and behaving, there would be a lack of diversity on this planet. If you – and all the other people on the autism spectrum – lived within the guidelines and belief systems of society, it would certainly be a very monotonous and unimaginative world. 2. Not all of society’s “rules” are just. If you try to follow every rule of society, you may actually be setting yourself up for failure. A blind belief in any system without question is a hazardous way to go through life – and is not even good for society as a whole. Some rules “should be” broken. If you refuse to break a rule just to “fit-in” and gain the acceptance of “the group,” you end up giving up too much of your own power to the *** powers in charge***. 3. Trying to fit-in means not questioning the status quo and putting a blind trust in how others think YOU should think and act. Giving over your power to others for the sake of conforming to their expectations can mean ignoring social justice issues – and can keep you from feelings of outrage and the need for action over social injustice (in this case, prejudice against people who “think differently”). 4. The neurotypical world is not always based on what is good for the “greater good.” Unjust actions by society is largely fueled by people who go to great lengths to “go with the flow.” It’s just plain dumb to go through life without questioning present circumstances that seem wrong or one-sided. 5. You may feel like a “cop-out” (i.e., feeling as though you’re grossly compromising your values and beliefs). If you believe that you don't have the ability to go against the norm when you “know you should,” it’s a real self-esteem buster. How many times have you wanted to do something and felt afraid of what others would say about it? And when you kept your mouth shut in order to avoid “rocking the boat,” how did you feel about yourself? Conversely, when you stood up for yourself because in your gut you knew you were right, how did you feel? Enough said! 6. Your creativity will die a slow death. Look at all the famous artists that sold paintings worth thousands (if not millions) of dollars. If they operated by the “norms of artwork” (so to speak), they would never get outside the box to produce pioneering paintings, sculptures and drawings. Have you ever had a "crazy idea” – and you thought it was a good idea, but you didn’t pursue it for fear of ridicule and criticism from others? Have you ever wanted to suggest a risky idea to your employer that was against norms? How many times have you wanted to try something new - but bailed-out without even giving it a try? 7. As previously stated, conformists don’t make a difference in the world. Without people who “think differently,” there would never be change. People on the autism spectrum can offer a checks-and-balance system that can help to point out what is unjust in society. 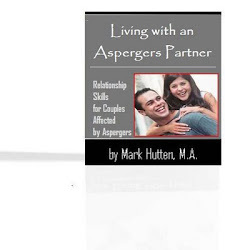 If you are a person with Asperger’s or high-functioning autism, you are indeed one of those who can improve the current state-of-affairs for the better.